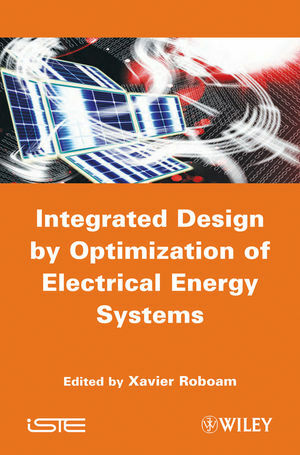 This book proposes systemic design methodologies applied to electrical energy systems, in particular integrated optimal design with modeling and optimization methods and tools. It is made up of six chapters dedicated to integrated optimal design. First, the signal processing of mission profiles and system environment variables are discussed. Then, optimization-oriented analytical models, methods and tools (design frameworks) are proposed. A “multi-level optimization” smartly coupling several optimization processes is the subject of one chapter. Finally, a technico-economic optimization especially dedicated to electrical grids completes the book. Xavier ROBOAM, Institut National Polytechnique de Toulouse, France.